Donald Trump's name has been tied to another anti-Semitic comment, except this one didn't come from his own Twitter account. Michael Flynn, a retired military general and vocal Trump supporter, says he was trying to retweet a CNN video of the Hillary Clinton campaign blaming the recent Democratic National Committee email leak on Russia. "Other experts are now saying that the Russians are releasing these emails for the purpose of actually helping Donald Trump," Hillary for America campaign manager Robby Mook said. But he actually retweeted a comment, which included an anti-Semitic message. Flynn later deleted the tweet and tried to explain it away as a mistake. Trump has received allegations of anti-Semitism before. He tweeted a graphic of Clinton, calling her the "most corrupt candidate ever." Some said the six-pointed star and pile of money echoed Jewish stereotypes. Trump eventually tweeted a version of the image without the star. Trump also started using the slogan "America First," which some say echoes an anti-Semitic political group from World War II. Trump has had prominent supporters accused of anti-Semitism before, too, including David Duke, a former member of the Ku Klux Klan. 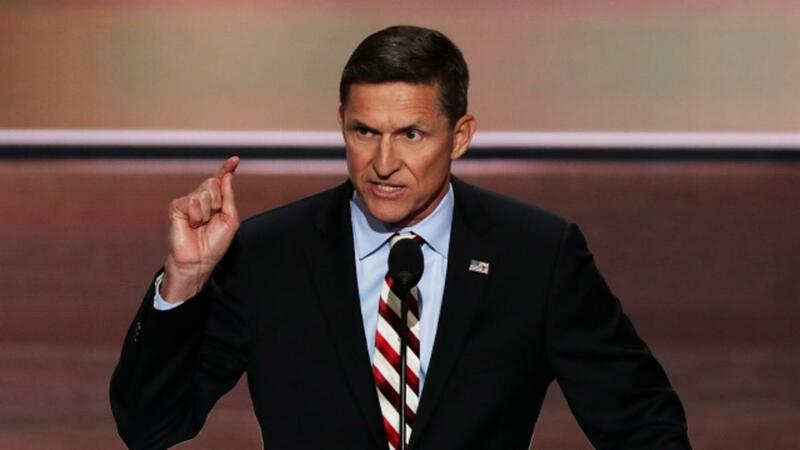 This incident with Flynn comes less than a week after the former general gave a speech supporting Trump at the Republican National Convention. "Donald Trump knows that the advantage in life, in business and in wartime goes to the competitor who does not flinch," Flynn said.